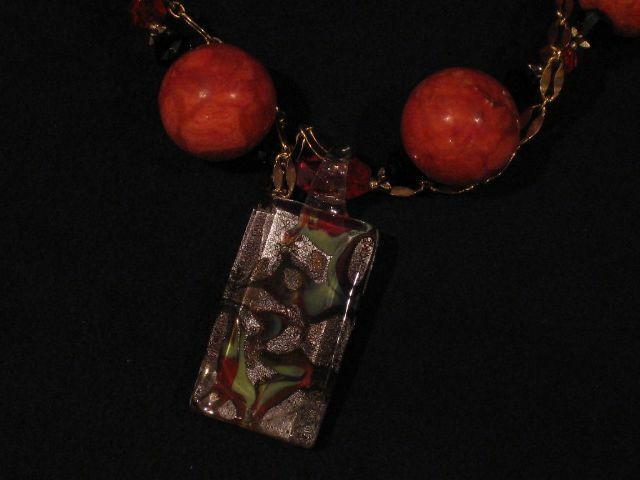 www.Jewelinga.com - Every lady is unique, so should be her jewelry. 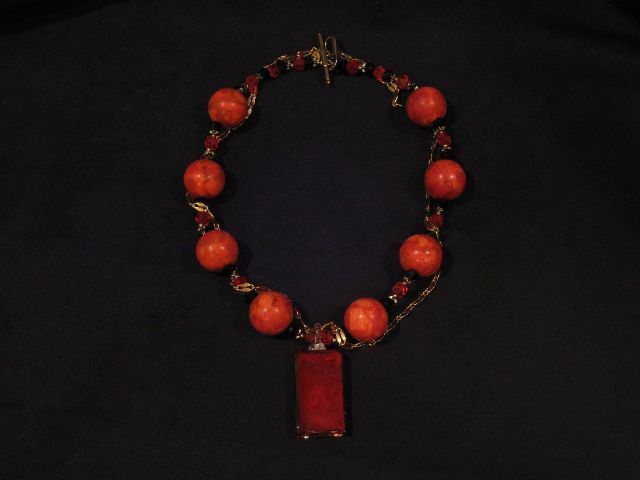 Beautiful Necklace made with big red corals and Murano glass pendant. 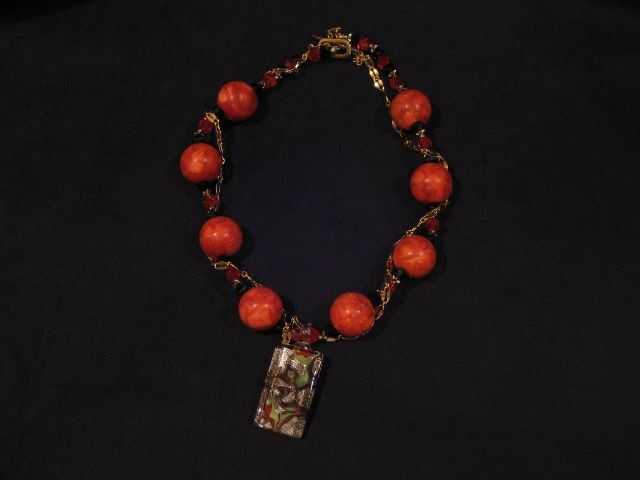 © 2007 JewelInga.com all rights reserved.